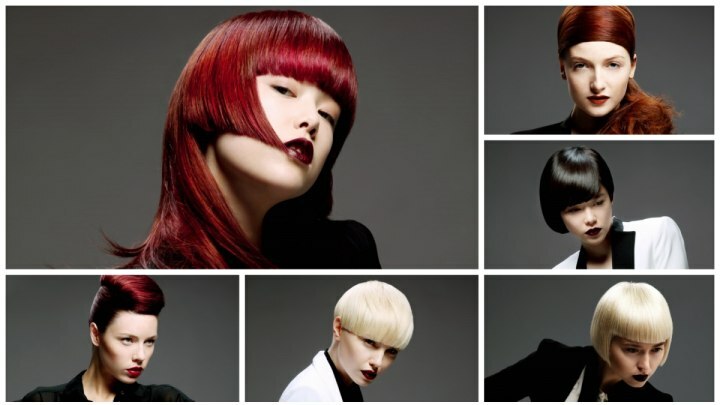 Neil Barton interprets androgynous style with bold lines, hard edges and bold colors. Toughness expressed through tight styling, strict structures and strong contrasts that can be expressed either in colors or in different lengths and textures in one style. 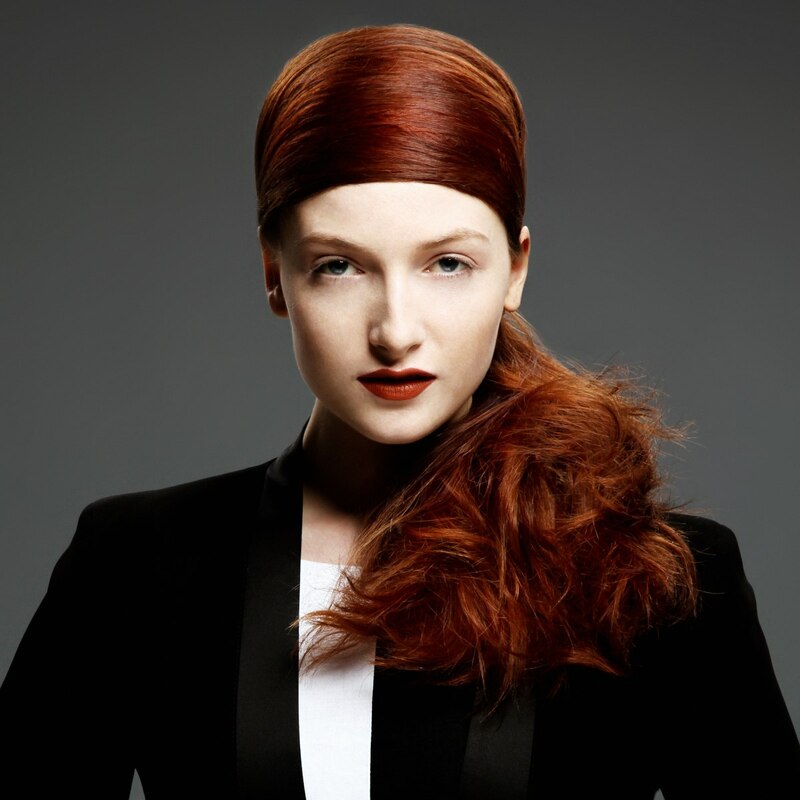 These six looks emphasize the strength in women by increasing masculine energy in feminine hairstyles. A juxtaposition that is as fascinating as it is executed to mesmerize. 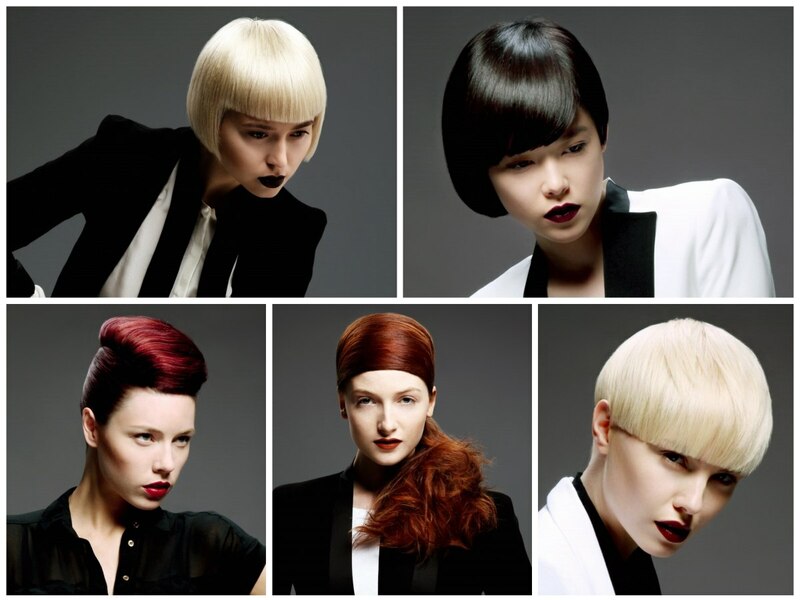 Blonde, black and reds are on the palette and classic looks were the inspiration for the sharp cuts and up styles. Nothing is left up to chance here. The very short bob turns from an elegant classic to a cult object and even just subtle adjustments to its shape can have a huge effect. Here it is the cutting line of the fringe and its transition to the earlobe long sides. Laser sharp contours without any fuzz and a blonde color as pure as the best champagne. This haircut also gets away without any partition, instead it has a point. A single spot in the back is the epicenter from which all the hair is styled. Minimalism par excellence! 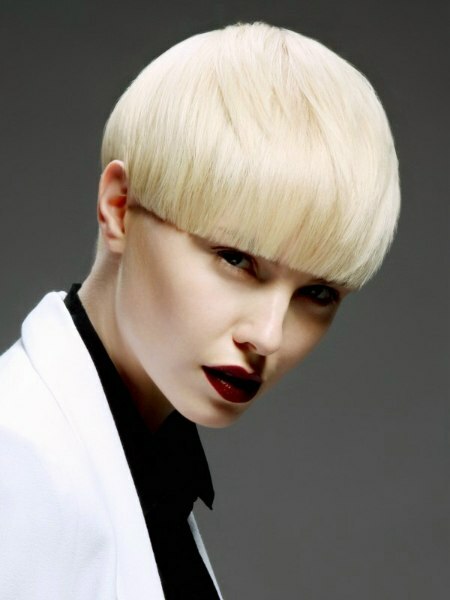 A precise bowl cut matches her suit in its matter of fact chic. Playfulness is expressed only with a few tiny strands that were styled against the grain on top. Not so subtle is her bright lipstick! Round on top and straight at the bottom, this very short avant garde hairstyle is the perfect companion for the next gallery opening or fashion show! A bold look that has a good dose of femininity and strength. One side bob, the other side is inspired by masculine haircuts. 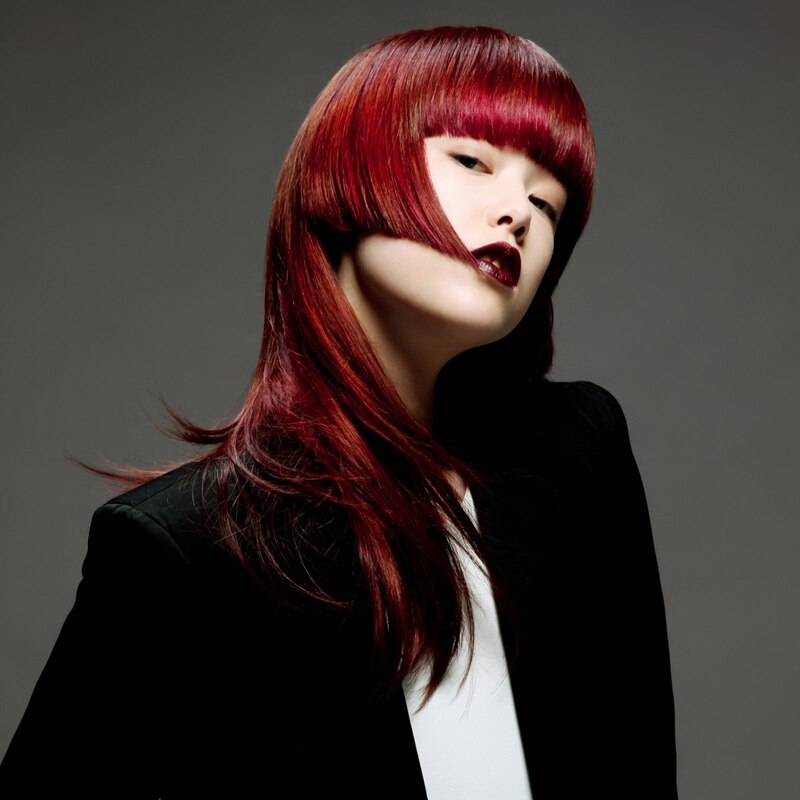 A curved fringe adds softness and the color increases the power effect. 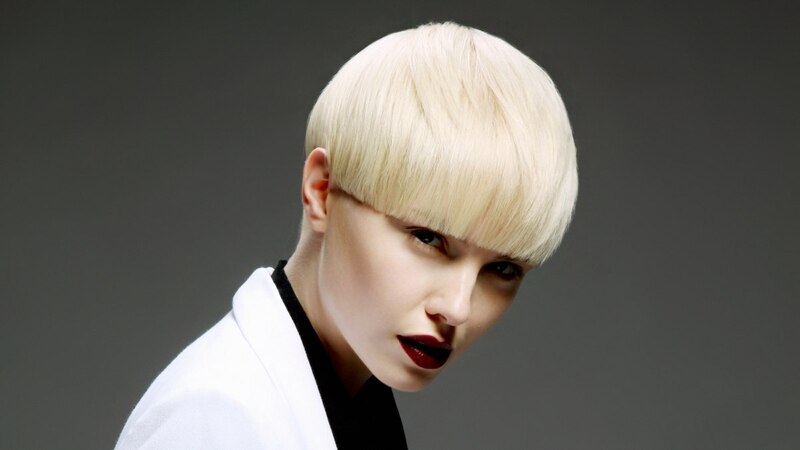 The play with the energies and style elements results in a exciting short hairstyle for professional women with high fashion sense. Long or short. No pressure! You can have it both. 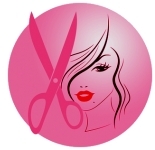 A short bob with all of its exciting trimmings, like a sharp fringe and pointy edges that accentuate the best parts of your face, turns into a long hairstyle with hair that falls way below her shoulders. The extreme difference in length begins right behind her ears and the colors are picked to increase the effect with a warm red, a hint of brown and then again a cool fuchsia in selected areas. Sleek and shiny, this exquisite style is as extravagant as you could want it. This is not your "Gray Gardens" type of turban. However it does not lack in eccentricity at all. A wide band of hair was wrapped ever so tightly around the head to resemble a beautiful silken scarf. 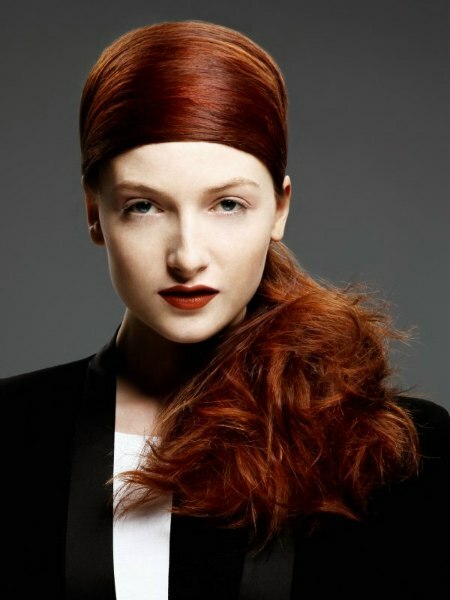 The surprise comes with the long side ponytail and its crazy, expressive and untamed texture. The contrasts of surfaces touch deeply and are like a haunting melody that just does not want to leave your mind. A fiery copper turns up the temperature and is the best contrast to the very fashionable black and white clothes. To wear the hair up an tight does not mean that you don't know how to have fun. Turn on the retro music station and dance to your own steps with a great glam look inspired by 50s fashion and Grace Jones. 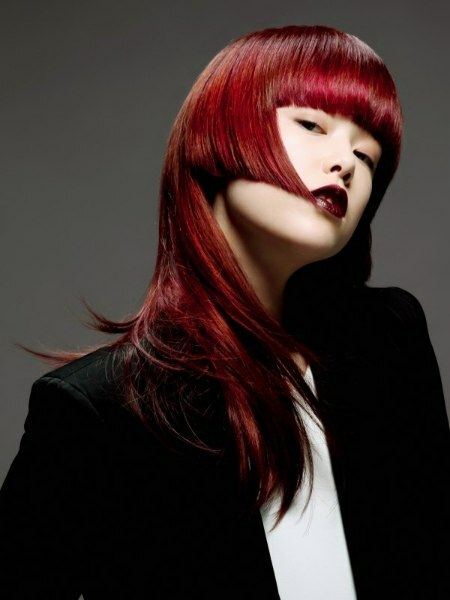 Wrapped horizontally around the head as tight as you can handle and colored in a deeper hue, the hair is sleek and strict. The top is puffy but just as sleek and stands out in its red hue with super fine highlights that bring a lot of visual texture into the quiff.